A fusion of two loves: music and food. Wednesdays are always rough. I have nearly all my beginner band students, which can be both rewarding and extremely frustrating. We’re at the point in the year when some of them are really blossoming and starting to fly through their method books, and with others, I might as well be teaching my stapler how to play the saxophone. It’s never a dull moment, though. Last night’s dinner was blackened tilapia (aka Pinterest), rice, and sautéed green beans, served with a side of political banter. Nothing too exciting. Today was middle school “can I reschedule my band lesson?” day. For some reason the middle schoolers just can’t remember when their lessons are…even though I post the schedule…in 3 places…and give them reminders….frustration. 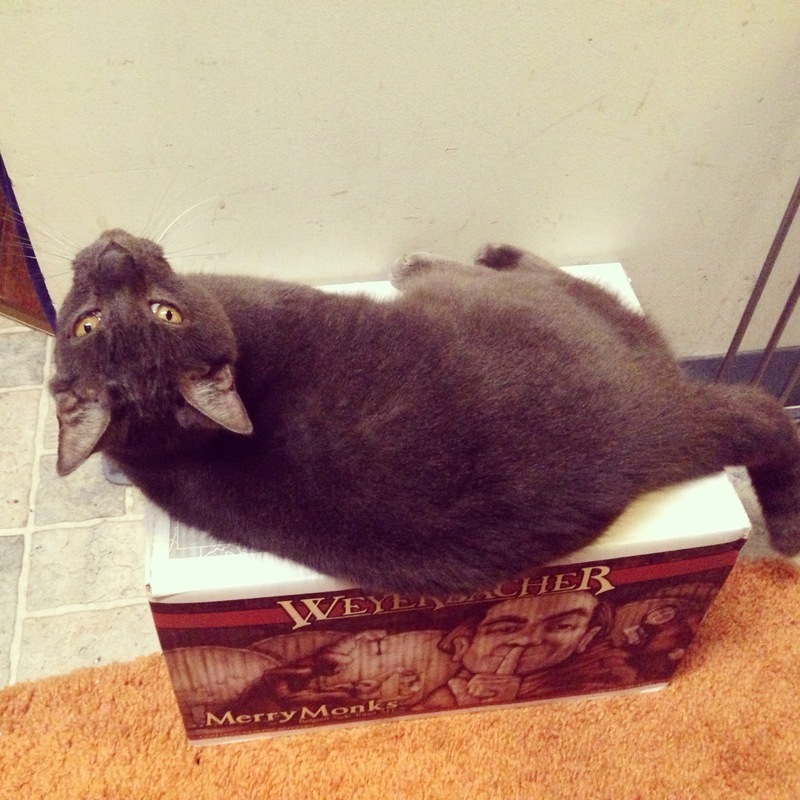 He loves sitting on this box, I have no idea why. Apparently someone loves craft beer as much as his father. 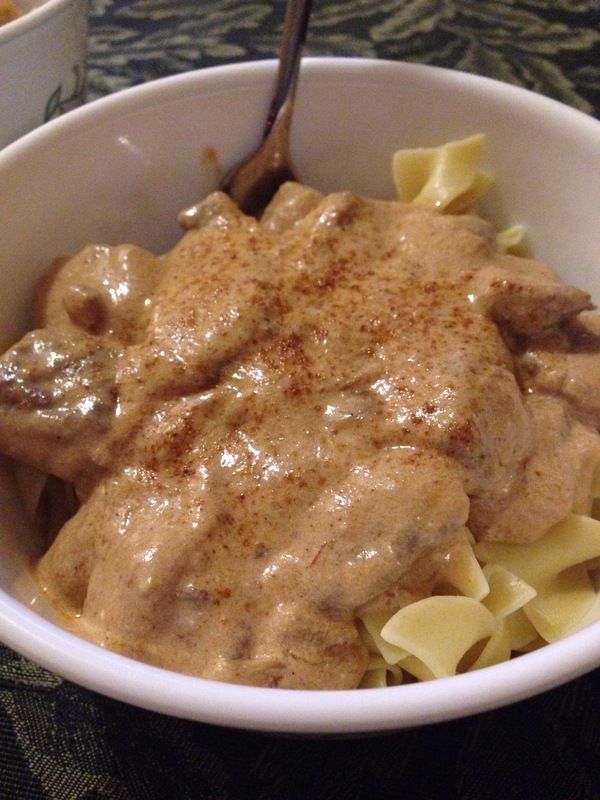 Hubster was hungry for beef stroganoff, so Stroganoff Thursday it was. Pulled out a recipe from my Country Cooking cookbook (see below). It was easy to put together, but had to simmer for an hour. (I used stew meat, which was probably a poor choice, as it was a little tough, but I couldn’t find round steak at the grocery store). After letting it simmer, I added the creamy element. Now, the recipe called for sour cream, which is traditional in stroganoff, but I opted for plain Greek yogurt instead. I find it has a tang you just don’t get with sour cream, and it’s essentially the same thing anyway. 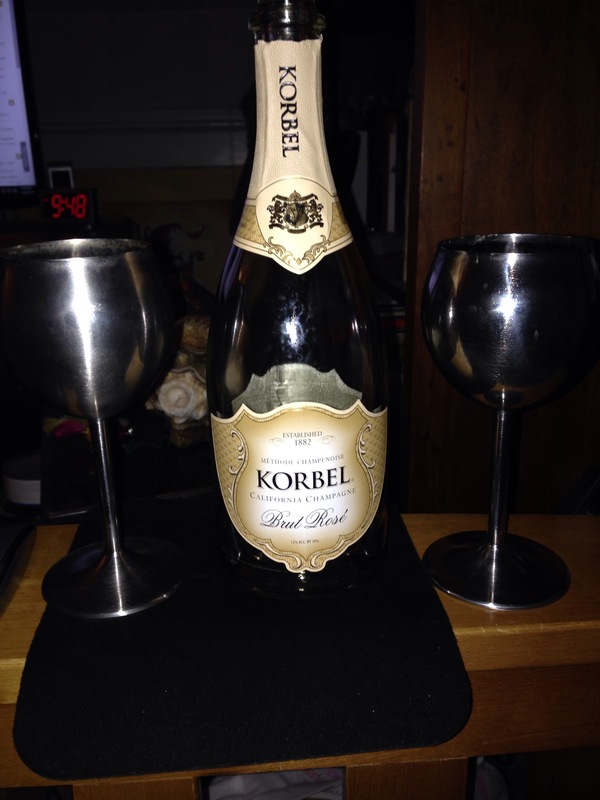 We enjoyed our bowls of egg noodles and stroganoff with a bottle of Korbel Brut Rosé. Hubster got a raise and a bonus today, so I figured that was enough reason for some pink bubbles. 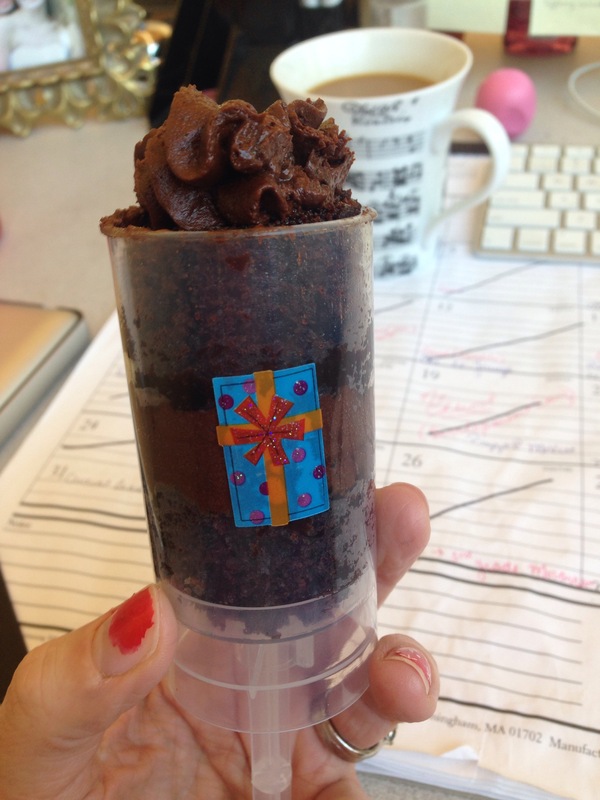 Then again…what isn’t enough reason? Combine flour, paprika, salt, and pepper in a large resealable plastic bag. 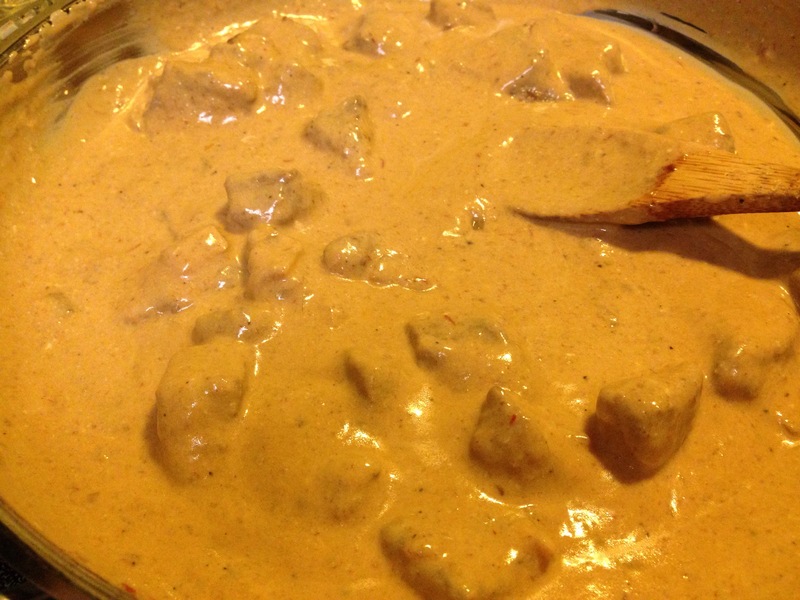 Add beef and shake to coat. In a large skillet, melt butter over medium heat. Brown the beef and remove. Add onion and garlic; sauté until tender. Return beef to the pan. Add broth, chili sauce, mustard, and mushrooms. 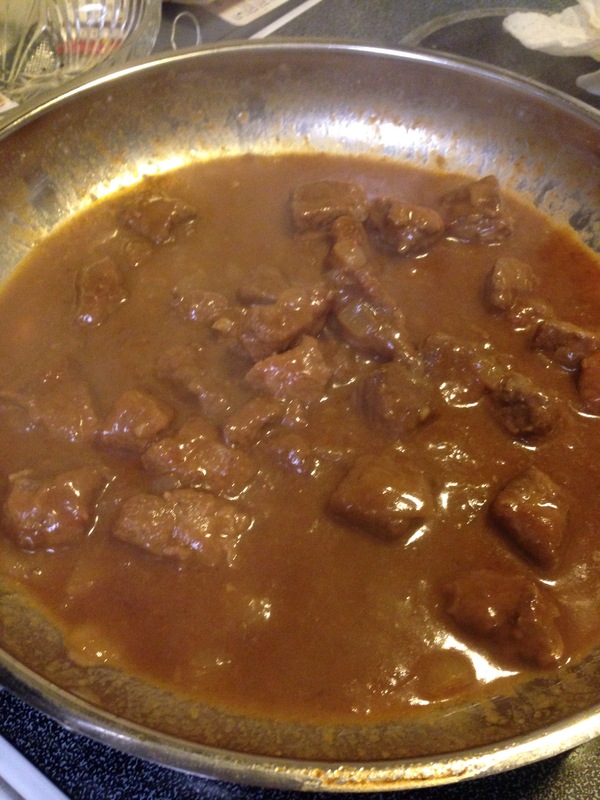 Cover and simmer for 1 hour or until the beef is tender. Stir in sour cream; heat gently, but do not boil (it will curdle). Serve immediately over hot egg noodles.